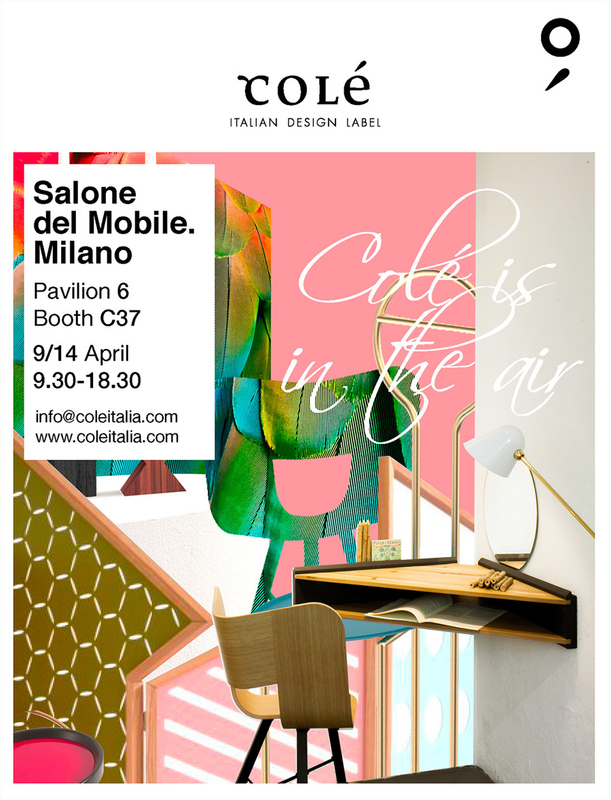 Colé Italian Design Label takes part in the Salone del Mobile.Milano with new additions to its collection, opening up also towards the world of small décor objects. The fil rouge going through this brand’s entire production is a relentless formal research and that constant scouting effort which has always led the company to dialogue with some of the most promising designers on the contemporary scene. These many collaborations have resulted in remarkable designs of chairs and tables which have become true icons over time. The new products are designed by Agustina Bottoni, a young and talented designer of Argentine origin, and by the Lorenz + Kaz, already interpreter of the Colé style and author of some of the most famous pieces in its catalogue. Salone del Mobile – Milano.